One of those unique products that I couldn't resist. 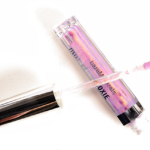 It may look scary and possibly unwearable in the tube, but it's actually a very pretty peach with a little bit of a purple sheen in certain lights, when worn on bare lips. It looks especially interesting when worn over different lip shades since depending on the colour it will bring out the different shades in the gloss. I personally really like this sort of thing even just to look at, but from a practical point of view it really is a pretty gloss, and is definitely wearable. Unfortunately a case of 'looks prettier in the container'. I find the colour doesn't really look as great once applied, although still pretty. I don't find it to be a true glitter in the way that the other MAC glitters are, I find it more of a metallic pigment. I would always advise using a glitter glue or mixing medium to prevent fallout and to make the product apply more evenly and opaquely. I was so excited when I saw this palette announced as it's right up my alley! 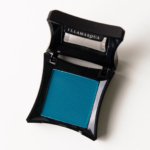 Not only are the colours eye-catching and beautiful, but the colours are intensely pigmented and apply very well. They really can be built up on the lid, but I find it doesn't take much at all to get full opacity. The only downside is that some colours aren't eye safe, but I experience no problems using them, and there's nothing to stop you from using them anywhere else. This colour is so beautiful and eye-catching that as soon as I saw it on counter I knew I had to have it. 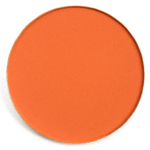 The pigmentation is great, and it is easy to build up the colour on the lid. The only negative comment I would make is that it's a little hard to blend nicely. It will blend, but it takes some time and patience to make sure the colour isn't over-blended as it can look patchy. This colour is really beautiful and unusual, as it is a duochrome. I would say the closest dupe would be MAC Club, except that Fervent is a loose pigment. The best way to apply this pigment is to mix it with Illamasqua Sealing Gel, or a similar product, in order to really bring out the glitter in it. As with all loose shadows apply it carefully to avoid fallout, but the Sealing Gel will really help with that. Overall I just think this colour is so special, and I love wearing it! The colour is so beautiful, and stays on for a very long time without the need for re-application. As with all lip tars it has a sweet mint scent to it, which I happen to really like. It also came with a little lip brush, which I find really useful for on the go. 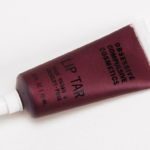 You barely need to use any to cover the lips, and you can still acheive a full opaque colour. I find this particular colour stains the lips, but I like that since it means the colour lasts that much longer, especially through eating/drinking. I really love this shade, as it really is so shimmery and pretty. 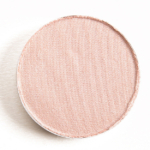 I tend to use it on the inner corners of the eyes, and it looks especially nice in bridal makeup. I really recommend it! One of my favourite MAC eyeshadows of all time. 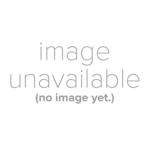 It applies very well, and is very pigmented. It blends nicely as well, despite being a matte. 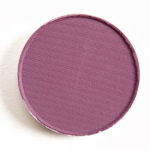 I love wearing this colour, I'd recommend it to anyone looking for a matte purple eyeshadow, as I've found many others very disappointing. 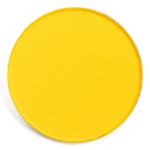 I like to use this as an eyeshadow base because it enhances the colour and increases the staying power of the eyeshadows. I tend to use it with a brush because I generally find it hard to get my fingers into this sort of container (I have long nails), and it also helps to get the best application and coverage. The colour is easy to make opaque, or to blend out depending on the look you want, but I would say the finger is probably the best blending tool, as the heat will help a lot. I find the colour looks fine on its own under the eye, but on the actual lid I think some wouldn't find the colour particularly pretty, so I would recommend it more as a base than an eyeshadow. 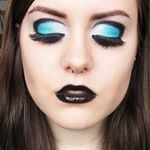 This particular shade is perfect for when I want to do a black smokey eye because it works so well as a base. Once applied there is enough time to blend it out, and then it sets to prevent any creasing. 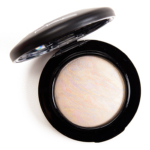 It's great when used under black eyeshadows to intensify them and make them longer-lasting. I find that even though it contains a slight shimmer I am still able to apply a matte black eyeshadow over the top without the shimmer coming through, which is great! 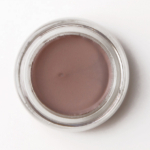 It's really creamy and smooth to apply so it doesn't tug on the eyelid. A really nice true silver that applies opaquely without having to use a lot of product. It also smells amazing, as it has a really sweet vanilla scent (once you have it on you can't smell it anymore). I love the way it feels, it's really smooth and creamy and not at all thick. It has a really wonderful metallic finish, so it really stays true to its name. 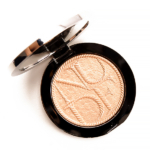 The negative is that if you don't set it with a powder it will crease, but once you have set it you can expect it to last perfectly without any noticeable creasing. I also love the packaging because it's clear (apart from the lid) so you can easily find the shade you're looking for. They're also multi-purpose so you are free to use them in whatever way you can think of! I have used this particular shade with an angled brush to line my top lashline. A really nice yellow gold that applies opaquely without having to use a lot of product. It also smells amazing, as it has a really sweet vanilla scent (once you have it on you can't smell it anymore). 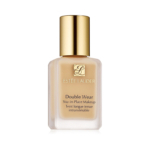 I love the way it feels, it's really smooth and creamy and not at all thick. It has a really wonderful metallic finish, so it really stays true to its name. The negative is that if you don't set it with a powder it will crease, but once you have set it you can expect it to last perfectly without any noticeable creasing. I also love the packaging because it's clear (apart from the lid) so you can easily find the shade you're looking for. They're also multi-purpose so you are free to use them in whatever way you can think of! This palette contains a really wonderful selection of eyeshadows with the 'deluxe' formula. 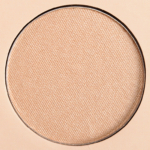 This formula means the eyeshadows are VERY soft (almost to the point of being too soft, as a little crumbling does occur) and apply really nicely, and comfortably. The brights are the best part of the palette for me, particularly 'Peace' and 'Graffiti', which are so pretty. It's versatile because you have a great range of colours, as well as some browns and a black. For me the browns are a little too light, including the darkest one, which actually comes out a lot more light and shimmery than it looks. 'Zero' is a really nice shimmery black that has good opacity and makes the palette just that much more versatile, as any look can be made more dramatic. 'Fishnet' is really striking because it has a duochrome effect which allows it to appear more pink or purpley/blue depending on how it is worn Each eyeshadow is very easy to blend because they are all so soft. The packaging is great too because it's small and thin so will fit in a handbag easily, whereas something like the Book of Shadows would be too bulky. I find palettes tend to be good value for money too because you are getting 9 eyeshadows together for a better price than if you were to buy them separately.